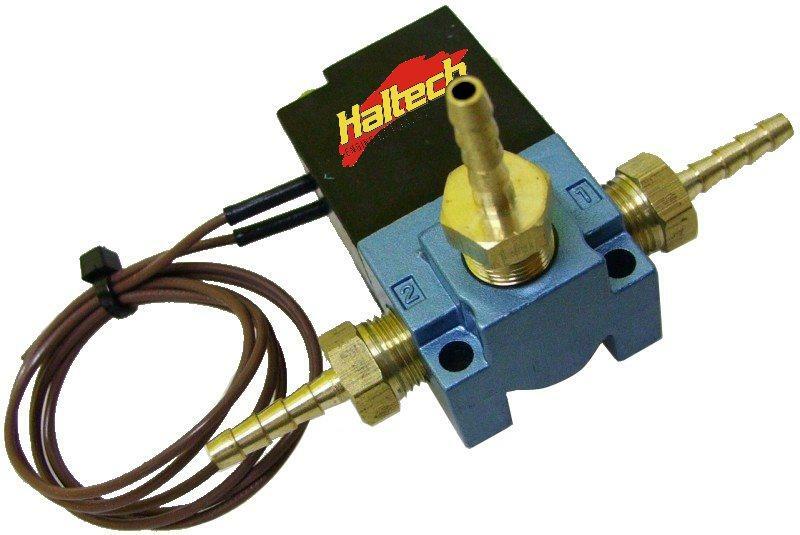 The Haltech Boost Control Solenoid allows the user to map boost pressure levels on turbocharged vehicles through the engine management system. Haltech uses a highly durable short stroke solenoid to increase durability, longevity and of course accuracy of the valve. A high force spring return is used to produce swift valve closing and to prevent valves “blowing” open under high boost applications. Valve movement control (Duty Cycle) map is accessed via the ECU programming software. Raising the duty cycle increases boost pressure, while lowering the duty cycle will reduce boost pressure. The boost control feature allows boost response adjustment for varying turbo sizes. Depending on the ECU being used some people may want to utilise the gear based boost control feature – this allows separate boost levels to be set at every RPM in every gear. One of the latest features is also the implementation of closed loop boost control where all that needs to be done is tell the ECU exactly what boost to run at each RPM and the computer computes the opening duty cycle of the boost control solenoid automatically – this feature accounts for changes in air temperature, barometric pressure, intercooler heatsoak and any other unexpected factors that may effect inlet air temperature and pressures. With the continual improvement and innovation consistently going into all of Haltech ECU’s in the area of boost control its hard to imagine how your turbocharged engine ever lived without a Haltech boost control solenoid!